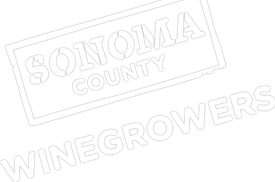 The Sonoma County Winegrape Commission provides ongoing targeted education on a variety of vineyard practices. Many of these meetings support the Code of Sustainable Winegrowing program. Grower meetings on topics like Integrated Pest Management (IPM), Sustainable Winegrowing Practices and water conservation are offered throughout the growing season. These informal meetings offer interaction with experienced growers, professional speakers and experts from UCCE and UC Davis. Meetings include grower-to-grower exchange of ideas and practical information including using biological controls in the vineyard, i.e. owl boxes, monitoring for the Glassy Winged Sharpshooters (GWSS), Vine Mealybug, European Grapevine Moth or the latest bug du jour, and providing various vineyard resources. Phone your UC Cooperative Extension Farm Advisor (Rhonda Smith) at (707) 565-2621. Another useful source is the UC publication “Grape Pest Management” ($70 plus tax) available through the Cooperative Extension Office. Also, for identification of grape pests, contact the Sonoma County Agricultural Commissioner’s office at (707) 565-2371. The Agricultural Commissioner enforces the California Department of Pesticide regulations and the California Department of Food and Agriculture Code relating to pesticides. Pesticide permits and identification numbers are issued at the Sonoma County Agricultural Commissioner’s office at (707) 565-2371. This office also provides employee information for handling pesticides. If you want to control migratory birds feeding on your grapes, contact the Sonoma County Agricultural Commissioner’s office at (707) 565-2371. Wildlife services are also available to control damage to vines by feral pigs, coyotes, foxes, raccoons, etc. Rodent control bait is also available through this office. For handling quarantine requirements for grape vines imported from outside Sonoma County, phone (707) 565-2371. Also, for hazardous materials requirements, phone (707) 565-2371. Check with your county or local fire district about rules and obtaining a permit. Or you can phone Agricultural Burn Information at 565-BURN of the County Air Pollution Control District. The Agricultural Commissioner can also issue permits for disease situations involving production agriculture. For questions relating to laws and regulations governing trucks (in particular combinations over 40 feet), phone the Commercial Officer at Rohnert Park CHP office (707) 588-1400. The California Department of Food and Agriculture reminds you that when purchasing grapes for wine, provisions of the Food and Agriculture Code require that, when the percentage of soluble solids (sugar content) affects the purchase price, inspection is required by the Secretary of California Department of Food and Agriculture or the Sonoma County Agricultural Commissioner at (707) 565 2371. Some grant monies also provide outreach and funding for projects. For information contact Southern Sonoma County Resource Conservation District at (707) 794-8692. Also available is the publication: “Vineyard Management Practices: An Environmental Approach to Development and Maintenance.” Other RCDs are: Sotoyome RCD at (707) 569-1448 and Gold Ridge RCD at (707) 823-3037. For information on vineyard planning and development, please go to Business Practices: Regulatory. The Santa Rosa office can furnish advice and offer free and priced publications such as “Sample Costs to Develop and Produce a Vineyard in Sonoma County,” “Rootstocks and Phylloxera,” a list of nearby commercial laboratories, and a raft of many other UC publications in the agricultural field. The office is located at 133 Aviation Blvd., Suite 109, Santa Rosa. The phone number is (707) 565-2621. There are excellent viticulture and enology courses at SRJC. For more information, phone the Agriculture Department at (707) 527-4408. To register as an organic farmer, there is a registration packet available at the Sonoma County Agricultural Commissioner’s office at (707) 565-2371.